Earrings and ear climbers are the perfect way to add a beautiful complement to your style. These options are easy to embellish and can be ready to wear in minutes. Try our earrings for a traditional look or put a twist on your looks with ear climbers. Whether you want to create a simple earring design or make something more elaborate, these earrings will provide you with lovely foundations for your jewelry-making endeavors. Start your designs with these sterling silver 3/4-inch beading hoop earwires. This hoop earring features a circular shape finished with a loop that hooks into the other end. You can easily decorate the hoops with beads, charms, and other dangles. You can also use these hoops as wine charms. They feature a brilliant silver gleam that will pair well with any style or color palette you may have in mind. Keep your designs stylish with the 14K/20 rose gold-filled 15mm endless beading hoop pair. Its thin, rounded shape opens up at one end so you can embellish it with your favorite beads and components, and then snaps closed to create the illusion of an endless hoop. It's perfect for making earrings. This beading hoop is small in size, so you can use it with all kinds of styles. It features a fiery rose gold color. Create fabulous designs with the sterling silver 20mm sparkle wire beading hoop. This component is circular in shape. You can easily tuck the straight end of the wire into the simple loop on the other side, creating endless style. Use these hoops in a pair of earrings or try making wine charms with them. It's easy to add your favorite beads and dangles. The subtle twisted texture of the wire creates a twinkling sparkle and shine that everyone will notice. You're style is sure to stand out with the 14K/20 rose gold-filled 30mm endless beading hoop pair. Its thin, rounded shape opens up at one end so you can embellish it with your favorite beads and components, and then snaps closed to create the illusion of an endless hoop. It's perfect for making earrings. This beading hoop is bold in size, so everyone will notice it. It features a fiery rose gold color. Create amazing styles with these sterling silver 1/2-inch beading hoop earwires. This hoop earring features a circular shape finished with a loop that hooks into the other end. You can easily decorate the hoops with beads, charms, and other dangles. You can also use these hoops as wine charms. They feature a brilliant silver gleam that will pair well with any style or color palette you may have in mind. Use this endless beading hoop to create a wonderful new jewelry idea. Its thin, rounded shape opens up at one end so you can embellish it with your favorite beads and components. You can then snap it closed to create the illusion of an endless hoop. It's perfect for making earrings. This hoop allows you to create incredible pieces that have that perfect professional look. Sterling silver 1-inch endless beading hoop earwires are perfect for creating all kinds of cool designs. This hoop earring features a circular shape finished with a loop that hooks into the other end. You can easily decorate the hoops with beads, charms, and other dangles. You can also use these hoops as wine charms. They feature a brilliant silver gleam that will pair well with any style or color palette you may have in mind. You can create amazing hoop earrings with these 1 1/2-inch sterling silver endless beading hoops. This hoop earring features a circular shape finished with a loop that hooks into the other end. You can easily decorate the hoops with beads, charms, and other dangles. You can also use these hoops as wine charms. They feature a brilliant silver gleam that will pair well with any style or color palette you may have in mind. You can create amazing hoop earrings with these sterling silver endless beading hoops. This hoop earring features a circular shape finished with a loop that hooks into the other end. You can easily decorate the hoops with beads, charms, and other dangles. You can also use these hoops as wine charms. They feature a brilliant silver gleam that will pair well with any style or color palette you may have in mind. Showcase fascinating style in designs with these beading hoops. Each thin rounded shape opens up at one end, so you can embellish them with your favorite beads and other components. When you are satisfied, the shape snaps closed to create the illusion of an endless hoop. They're perfect for making bold earring designs. These hoops shine with golden beauty and feature a subtle twisted texture for extra sparkle. You can create fabulous designs with the 14K/20 rose gold-filled 25mm endless beading hoop pair. Its thin, rounded shape opens up at one end so you can embellish it with your favorite beads and components, and then snaps closed to create the illusion of an endless hoop. It's perfect for making earrings. This beading hoop features a versatile size that will work in many designs. It features a fiery rose gold color. Showcase unique style in designs with the sterling silver 25mm sparkle wire beading hoop. This component is circular in shape. You can easily tuck the straight end of the wire into the simple loop on the other side, creating endless style. Use these hoops in a pair of earrings or try making wine charms with them. It's easy to add your favorite beads and dangles. The subtle twisted texture of the wire creates a twinkling sparkle and shine that everyone will notice. Start your designs with the eye-catching style of the 14K/20 gold-filled 25mm sparkle wire beading hoops. This component is circular in shape. You can easily tuck the straight end of the wire into the simple loop on the other side, creating endless style. Use these hoops in a pair of earrings or try making wine charms with them. It's easy to add your favorite beads and dangles. The subtle twisted texture of the wire creates a twinkling sparkle and shine that everyone will notice. These hoops feature a regal golden shine full of luxury. Showcase fun style in designs with the 14K/20 rose gold-filled 45mm endless beading hoop pair. Its thin, rounded shape opens up at one end so you can embellish it with your favorite beads and components, and then snaps closed to create the illusion of an endless hoop. It's perfect for making earrings. This beading hoop is large in size, so they're sure to stand out. 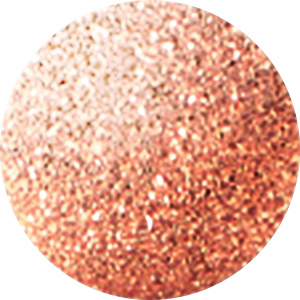 It features a fiery rose gold color. Stand out in your style with the sterling silver 45mm sparkle wire beading hoop. This large component is circular in shape and large enough to make a statement. You can easily tuck the straight end of the wire into the simple loop on the other side, creating endless style. Use these hoops in a pair of flashy earrings. They look great embellished with your favorite beads and dangles. The subtle twisted texture of the wire creates a twinkling sparkle and shine that everyone will notice. Please note that these beading hoops are sold by the pair. Add flash to your style with the 14K/20 gold-filled 45mm sparkle wire beading hoops. This component is circular in shape and large enough to make a statement. You can easily tuck the straight end of the wire into the simple loop on the other side, creating endless style. Use these hoops in a pair of flashy earrings. They look great embellished with your favorite beads and dangles. The subtle twisted texture of the wire creates a twinkling sparkle and shine that everyone will notice. These hoops display a luxurious golden shine. This endless beading hoop is the perfect way to design an earring with your favorite beads and make a professional style. The wide circular shape is molded with an open loop on one end that fits into the other end, creating the illusion of an endless loop. This finding allows you to create incredible pieces that have that perfect professional look. Complete your spooky style with this cool earring cuff. This ear cuff features a cut-out spider web design that will add terrifically terrifying style to your ensemble. Simply squeeze it onto the edge of your ear for instant style. You can even add chain dangles for a more detailed look. Wear it as a mini ring above your knuckle, too. It's great for Halloween styles. It features a versatile silver shine that will complement any color palette.